Thubten Samphel, now the Secretary of the Department of Information of the Central Tibetan Administration in Dharamsala, was one of them. Samphel, who fled his country as a child, was educated in one of the best colleges in India, and now works as the spokesperson of the Dalai Lama’s Administration. He has recently penned down his experiences as a refugee in a book, Falling through The Roof, published by Rupa & Co. In a relaxed atmosphere surrounded by his children, the next generation of refugees, he told Claude Arpi what it feels like to be a refugee for 50 years. That was in 1959. 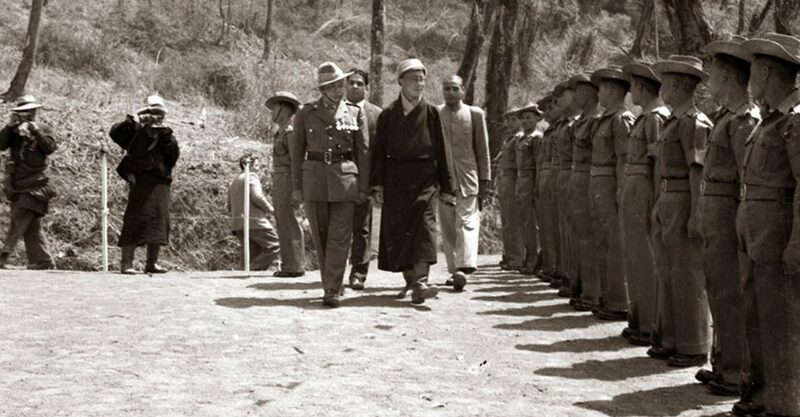 Fifty years later, the Tibetans still deeply resent the occupation of their country. 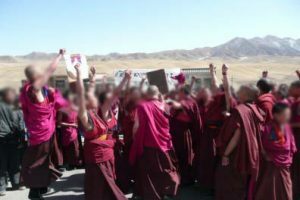 The two-month unrest in March/April 2008 was the latest proof of just how little they have come to terms with the Chinese presence in Tibet. In early-February this year, a news items on Radio Lhasa spoke of “50 years of democratic reforms in Tibet during which the PLA and armed forces stationed there treated Tibet as their native land and the local people as their parents, while in return the Tibetans treated the PLA and armed forces as their near and dear ones”. Notwithstanding such claimed bonhomie, martial law, however informal, had to be clamped on Lhasa to ‘protect the stability of the motherland’. In China, there is often a vast gap between ‘official’ statements and the reality. Ironically, it was a Chinese communiqué issued in Beijing on March 28, 1959 by the New China News Agency which gave a stunned world the first details of the uprising (’rebellion’ in Communist jargon). “Violating the will of the Tibetan people and betraying the motherland, the Tibetan Local Government and the upper-strata reactionary clique colluded with imperialism-assembled rebellious bandits and launched armed attacks against the People’s Liberation Army (PLA) garrison in Lhasa during the night of March 19. Acting on orders to put the rebellion down, the valiant units of the PLA stationed in Tibet completely smashed the rebellious bandits in the city of Lhasa on the 22nd. Now, the units of the PLA, assisted by patriotic people of ail sections, both monks and lay, are mopping up the rebellious bandits in other places in Tibet,” the communiqué said. At the end of the 6-day conclave attended by more than 500 Tibetan leaders gathered in Dharamsala to decide the future course of action in the Tibetan struggle, the Dalai Lama addressed the delegates. Considering the ’serious situation inside Tibet’, the Dalai Lama used article 59 of the Tibetan Charter that empowers him to call a ’Special Meeting.’ Kalons (cabinet ministers), current and former members of the Tibetan Parliament in Exile, government officials, Tibetan NGOs, and intellectuals will participate in the meeting be held from November 17 to 22 in Dharamsala.